It is a very grateful color and with many possibilities. Let’s discover some of them! If what you are looking for is to give greater luminosity and spaciousness to any space, light colors will always be successful. But if the white does not finish convince you the beige can become a great alternative. It is also bright, quiet and blends perfectly with almost any other hue, either equally neutral or also more vivid and intense. With what colors does beige combine? I already told you before. The beige combines very well with a wide variety of colors. Everything depends on what result you want to achieve in a certain stay: more relaxed, more cheerful … In any case, the beige can be a great base on which to play with other shades. Combined with brown, for example, it creates a very serene and soft atmosphere. You can also make beautiful contrasts with red, with oranges, with blue or turquoise. When making mixes you can leave most of the decoration in beige, for example, and add touches of color in the details . Or bet on a strong color and lower it a bit by adding those details in beige. Both ways will give a good result in any room where you decide to use it. And in what decorative style will it be better? Another way to play with beige is to use it depending on what decorative style you have at home or create it from this tonality. And there are styles that are very good tonality. For example, in the decoration of Mediterranean style , combined with blues; If you prefer a vintage decoration it will also look wonderful. And to neutralize the intensity of colors and the darker textures of industrial decoration beige can be a great choice. Another idea to introduce the beige in the decoration can be through the color of the walls . 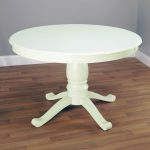 Paint them in beige and bring some color to the furniture to contrast. Use it on walls of rooms that have good natural light if you want the room to be especially bright, because if there is not, it can create the opposite effect and appear darker. If it is well lit, the result will be very cozy and warm. And if you choose furniture also beige or similar ranges you can create a very cozy place. One of the most appropriate combinations to create serene and relaxing environments is that of beige and gray. As you can see in the example of the photograph, it is ideal for bedrooms , since the feeling it conveys is perfect for this type of room. You can also use it in the living room and if you want to add a touch of color do it through a small detail or accessory such as a cushion, flowers or a painting, for example. A final idea that I propose is to use beige to decorate children’s rooms. If you add touches a pastel color, for example, you will create a very sweet and serene atmosphere for the room of the smallest of the house.